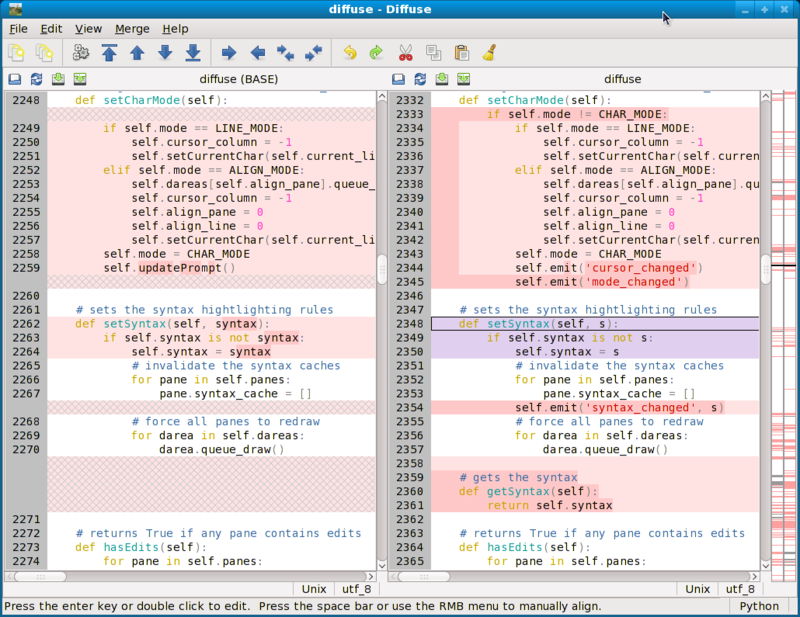 Diffuse is a graphical tool for comparing and merging text files. It can work with many revision control systems as a diff viewer or merge tool. Diffuse is able to compare an arbitrary number of files side-by-side (n-way merge), and gives the user the ability to manually correct line matching and directly edit the files. How does this compare to Meld? looks promising, but it’s already in the repositories I guess “sudo apt-get install diffuse”, not the latest version there though. +1 for meld, graphical view is more user friendly and merging is fast as a click. I use it everyday, and it can compares entire folders too ! — Am a Lucid Lynx Beta 2 user. — far far better than Windows in GUI and boot time. — No virus or a trojan or a worm cud dream of exploring our PC’s. — But we could not access all sorts of GAMES possible in Windows,in Ubuntu.Is that possible?If yes how?